Getting married? 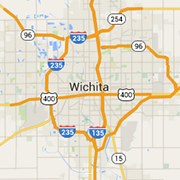 Find Wichita area wedding planners, caterers, reception halls, banquet facilities, photographers, florists and more. Top brands and designers with full range of sizes and colors available! Fashionable and fast, rentals available at 10555 W. 21st Miller's Dry Cleaners location.